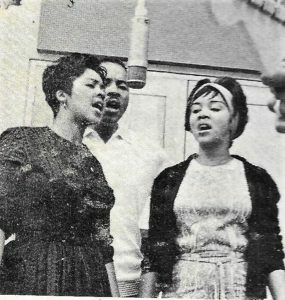 Bill Carpenter, co-founder of Capital Entertainment in Washington, DC, and a longtime friend of and spokesperson for the Staples Family, informed JGM of the passing of Yvonne Staples. She died at her home in Chicago today, Tuesday, April 10, at age 80. When Mavis’s solo career took off, Yvonne was at her side, preferring to work behind the scenes, handling the business end of things. Perhaps the most endearing moments in Jessica Edwards’ 2015 documentary Mavis! showcased the yin and yang dynamic between no-nonsense Yvonne and extroverted Mavis. 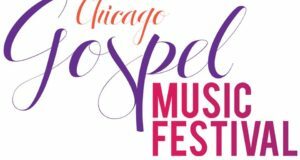 On a personal note: the first time I met Mavis, and the only time I met Yvonne, was in the 1990s, in Chicago, at a Black Ensemble Theater preview of the musical, Great Women of Gospel. I spied Mavis and Yvonne in the front row of the audience. Approaching them after the show to get autographs, I was beside myself at how naturally outgoing Mavis was. We chatted about Chicago gospel legends she knew, like the Lucy Smith Singers and the Roberta Martin Singers, and her forthcoming album of spirituals. We could have talked all night, there in the theater, but after several friendly and polite attempts to interrupt our conversation, Yvonne had to just about drag Mavis to their next engagement. Great ladies, great Chicagoans, and truly great women of gospel. Homegoing information will be posted when available.